As the foremost provider of efficient and reliable moving services in East London, Removals Team is here to help you with any domestic or commercial moving job that you have for us. All of those are available throughout all East London, in all E postal areas. If you need professionally tailored solutions for your home, office or single item removal projects around East London, you can count on our skillful, well trained and fully certified team of packers, helpers, drivers and movers. They have had the privilege of working for thousands of clients over the years, and never failed to achieve precisely the results they have been hired for. No action that we take will compromise the integrity of your boxes or the items that are being stored in them. The state of the art GPS navigation systems that every transit van and truck we use is supplied with is going to give you the chance to keep track of your goods while on the road at all times, and the full Goods in Transit Insurance that we can arrange to be added to your quote will furthermore strengthen your peace of mind. The only thing that you have to do is pick up the phone and make a reservation for your East London area removal with our company. Junk removals in E postal areas are another thing that you can completely count on us for. The collection trucks we use come with fast-loading equipment and large capacity that can accommodate even the largest of projects with ease. All rubbish that we collect through our house and office clearance operations is properly disposed of and/or recycled. This makes our junk removal service not only efficient and affordable, but also a hundred percent eco-friendly. What more can one want? If you think that we might be the right East London moving company for you, give us a call and we will cement that conviction of yours. Make a reservation and get your free quote now. 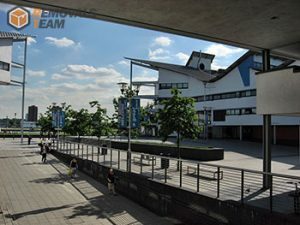 East London is occupied by the boroughs of Tower Hamlets, Newham, Waltham Forest, Barking and Dagenham, Redbridge, Havering as well as parts of Hackney. Some of those places are comfortable suburbs that offer quick and easy access to Central London, while others contain thriving commercial areas – especially Tower Hamlets, which is home to Canary Wharf – the second biggest financial district in London after the City. East London is covered by the E postal areas. The easternmost parts of the metropolitan area are occupied by the London Green Belt – a territory of protected open green spaces, including commons, forests and heaths that contribute to making London the greenest European capital as of the present moment. 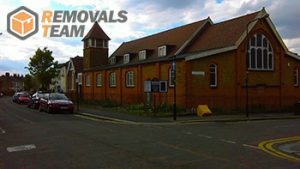 An East London removal carried out by Removals Team is indeed the best thing that you can hope for when you are relocating your home, office or even a single bulky piece of furniture. Our trained staff consists of veteran technicians who have thousands of successfully completed removals in East London under their belts. You can count on them one hundred percent in every situation and they are not going to let you down even one bit. Just get in touch with our licensed movers and leave it to them to figure out what the best way to carry out your removal in East London would be. We are ready to tailor an individual plan for your project that will cover your needs and personal preferences completely. Not only that but we are not going to charge you a sum that will make you break bank. Our custom removal quote calculator will most certainly offer you the best price on the market. Find out more about our East London removal solutions, our prices and the general information about our company by simply getting in touch with our friendly and very helpful around the clock customer support. East London is a huge area that has been historically linked to the industrial development and heritage of the capital. At the present moment East London contains some of the most important districts in London, such as the second commercial heart of the city – Canary Wharf in the borough of Tower Hamlets, as well as the exclusive residential areas and tourist attractions around the open green spaces of the Royal Borough of Greenwich. Even the majority of the former industrial estates are now converted into comfortable, multi-cultural residential areas.